A Week of Non-Fiction – The Bookshelf of Emily J. Please note that these posts will not include non-fiction books that I have already written about on my blog. Many of those would definitely be on any “Top 15” list I would create, but I wanted to focus on sharing non-fiction books that I have not posted in detail about already. If you’d like to see some of the excellent and praiseworthy non-fiction books I have already posted about on this blog, please click here. Today, we’ll start with Joan Didion. This is one of the most engrossing books I have ever read. It was my second experience with Didion, and I have to admit, the first wasn’t as pleasant. (I hadn’t yet read her “good” stuff. And now I know that it is all “good” and brilliant.) This “year” recounts Didion’s experience with becoming a widow when her husband, John Gregory Dunne, died of a heart attack suddenly. Her grief is tangible, and the story pulled me in immediately. I remember pulling it off of my basement bookshelf (I had found it at a thrift store and it had been waiting for me) and intending to walk upstairs with it and set it on my nightstand for reading later that night. Instead, I opened it for a sneak peak, and two hours later (okay, maybe that’s an exaggeration. What mother has two hours to just accidentally sit and read?!? ), I was crying, moved beyond words, and realized that I needed to get back to my family. This book explores the universal human experience of loss, grief, tragedy, and death, for Didion’s daughter also suffered from major medical issues during that same year. 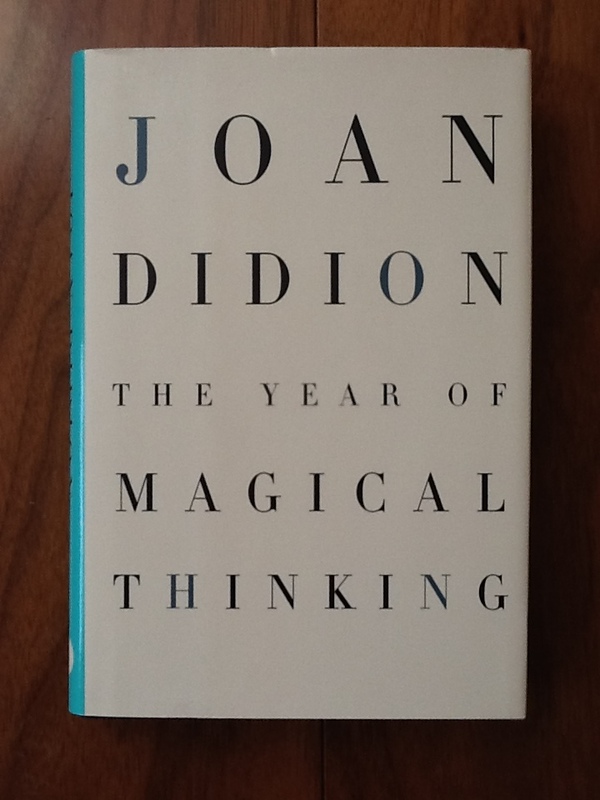 If you never read anything else of Didion’s (but you should, for she is one of the best American essayists of the last fifty years), then read The Year of Magical Thinking (2005). It won the National Book Award in Non-Fiction in 2005 and was a finalist for the Pulitzer Prize. Next, is British author Bill Bryson, another fine writer whose work is well known and loved. I’ve read a few Bryson books, but this is the most recent one for me, and although it isn’t his best, it’s still fascinating. At Home: A Short History of Private Life (2010) looks at the history of the modern home, and how rooms evolved and changed. He explores this by looking at the rooms in his own home, an old English manor that once needed rooms for servants and other activities we do not engage in today. From this way of organizing his research, he recounts architects, world fairs, and domestic innovations that have become known and loved to all of us who live in modern homes. It’s a large book, and took me a while to read, but I did so slowly, savoring each chapter as an individual essay on a time in history. I learned much. His interview on NPR about this book is also worth a listen. If you’ve been following my blog for a while, you know that this sort of post won’t get away without mentioning something feminist. 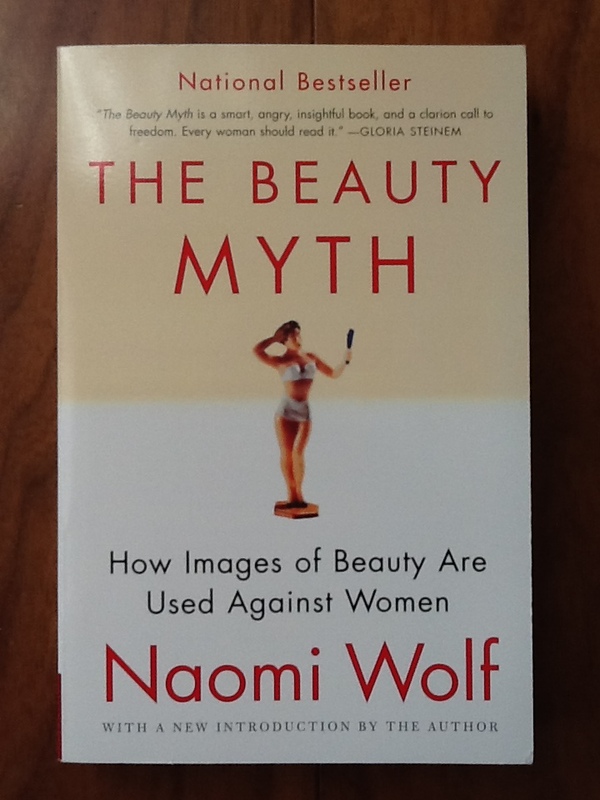 Naomi Wolf’s book, The Beauty Myth: How Images of Beauty Are Used Against Women (1991), is one that I still refer to in academic work and casual conversation alike. I’ll never forget it. Wolf asserts that although women have made many gains for equality in the last forty or fifty years, there is a backlash against this movement in the form of beauty. Think about it: what kinds of images of women do you see in the media? We mostly see that women must be young, thin, blonde, and beautiful, while older women are either invisible, given minimal roles, or must engage in constant plastic surgery to keep up. It is an unfair standard that in Western culture men become distinguished as they age, while women become dried up old prunes. Not only is ageism apparent in magazines, commercials, television, and films, but the idea that one must have perfect hair or wear many layers of makeup is constantly promoted. There is a lot of pressure on women to look good, to be young, and to stay thin. Wolf claims that this is just another form of control over women, and while she claims that men are responsible, I see it as a more complicated issue, with companies peddling products and media moguls searching for ways to make a buck. In addition, men are also affected by the beauty myth, making our ideals dangerous, physically and emotionally, for both sexes. I got this next book from my sister Haley for my birthday a few years ago. 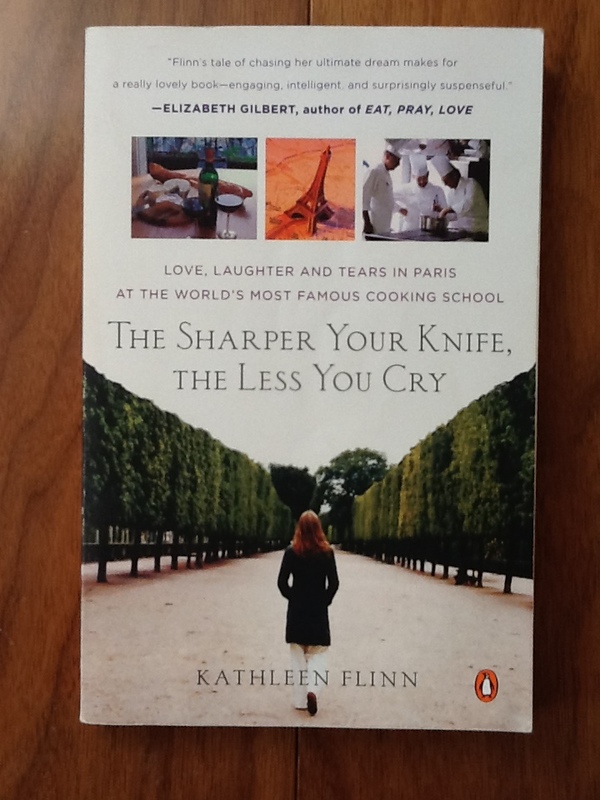 The Sharper Your Knife, The Less You Cry: Love, Laughter and Tears at the World’s Most Famous Cooking School (2007) by Kathleen Flynn is a New York Times bestseller. It isn’t as intellectual as some of the other books I will mention this week, but it was a good read. I took it on vacation with me to Mazatlan, Mexico, a few years ago, and when my husband and I both came down with that yucky traveler’s stomach illness, it came in handy as good poolside, and in bed, reading. I finished it first, and then my husband read it. He objected to some of the swearing, but the story is one of bravery and hard work. Flynn recounts her adventure in quitting her job and moving to Paris to attend the famed Le Cordon Bleu cooking school, the same one Julia Child attended (I wrote about Julia Child here and here). Flynn has many challenges and learning experiences, and those are worth reading, especially since they are set in the city of light, Paris. I read this last non-fiction book over a decade ago, but it still strikes me as one of the best memoirs I’ve read. Carlos Eire is a professor of history and religious studies at Yale university, and his memoir recounts what it was like to be a child during the Cuban Revolution. The stories are heartbreaking, funny, touching, and gritty. He ended up coming to the United States when he was just eleven years old without his parents in Operation Peter Pan. Although his experience centers on a specific time, place, and culture, his experiences are universal and instructive for anybody, for we all suffer along through our lives with challenges and issues that are unique to us, but feature pain that is ubiquitous among humanity. Eire also wrote a sequel about his years in Miami as a child who had fled Cuba, but I haven’t read it. 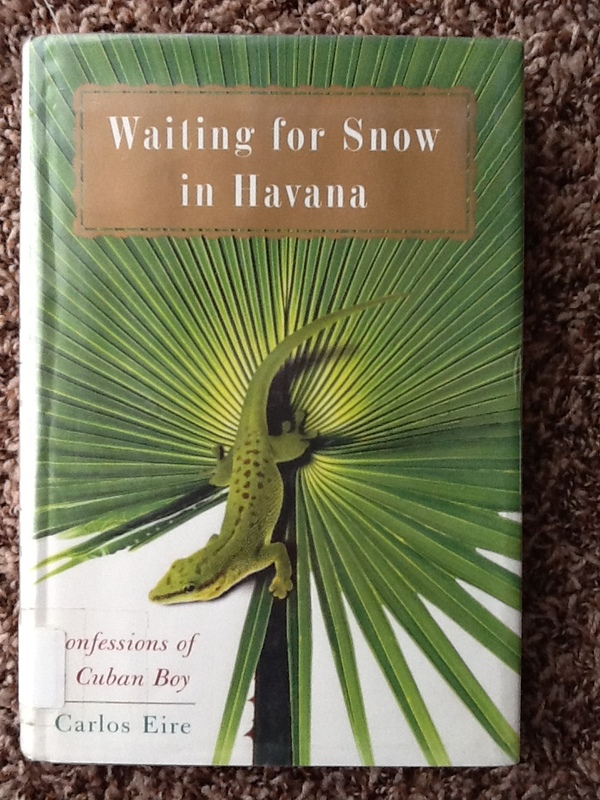 Waiting for Snow in Havana: Confessions of a Cuban Boy (2003) won the National Book Award in Non-Fiction. I adore The Year of Magical Thinking! I have actually been using it as a performance piece for an acting troupe I am apart of. So glad you enjoyed it too!! Wow, that sounds really neat! What a great idea. It is such a gripping book, so I am sure it translates well into theater. thanks for the review of ‘snow in havana.’ had not heard of it b4. i’ve read lots of books on cuba over the decades, but not this one. i’ve already downloaded a ‘sample’ on my kindle. again, LOVE your stuff, girl! WHEN R U COMING FOR LUNCH?? Can I come on Friday? 🙂 You’ll love Eire’s book. It is FANTASTIC!!!! I can’t say enough good about him and his writing and the experiences. So good. Now I want to reread it! Thank you! How kind you are. My list of books I would like to read just keeps growing! The one that interest me the most is the Paris story. Keep blogging! I appreciate all the insight you give on books, and it helps me choose what to read next! Thanks, Jill! I hope you enjoy the one about Paris! Fantastic suggestions. I appreciate that you include non-fiction so prominently on your blog, as most seem to restrict themselves to fiction. I do like both. I learn from both, and to me that is what reading is: learning. Great list, Emily! “The Year of Magical Thinking” is one of my all time faves. 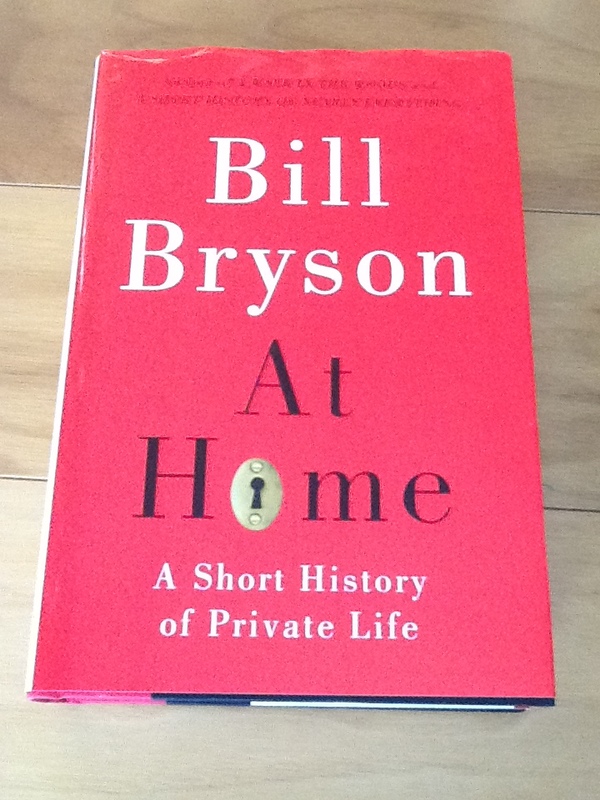 I love Bill Bryson but wasn’t able to get into “At Home” (though I must admit, I didn’t give it the old college try). Maybe I’ll pick it up again some rainy day. “Waiting for Snow in Havana” is definitely going on my list. Thanks for the suggestions! I’m glad to hear you like The Year of Magical Thinking as well. At Home was hard to get into for me as well. It is one of those that I’m glad I read, but it did take some will power. You’ll love Eire’s memoir. I read a lot of fiction and have a hard time finding good nonfiction books to read so thanks for the suggestions. Also, I love Bill Bryson. Bryson is great! I’m glad these suggestions are helpful to you. Enjoy and thanks for reading! Pingback: A Week of Non-Fiction: The Second Installment | The Bookshelf of Emily J.
Pingback: Wrapping Up A Week of Non-Fiction | The Bookshelf of Emily J.
I think I’ve mentioned to you before that I’ve read A Walk in the Woods by Bill Bryson. From the reviews I gather that it’s much different from his other books. Either way, I really enjoyed the book – it made me want to walk the Appalachian Trail or do something truly unthinkable. The language in the book was a little much for me at times, but I liked it. Great non-fiction week! I hope you’re feeling better. I haven’t read that one, but your description of it makes me want to. His books are always interesting. Pingback: The Mommy Myth | The Bookshelf of Emily J.